that slip of paper, long of my wallet, now stashed at the back of the drawer beside my bed, somehow slipped into obscurity, somewhere over the years. it’s expired, they tell me. while i was busy chasing crooks and fire trucks, a lifework i picked up along the way, that license to practice what i love, that stamp of you’re-okay from the state board of declarations, well, it got dumped by the wayside. all those long nights in the library, all those hours at the bedside, washing the dying and the newborn, depending on the day’s assignment, it’s washed away. or at least on paper, it’s no good. except for days like today, when all the pages and hours and hopes come rushing back. when i might as well sling on my cape and cap, haul out that ol’ stethoscope from the drawer. i swing into nightingale action when the ones i love go down. no board of examiners, far as i can tell, is hiding in the wings, keeping watch on how i do. long past are the skill tests on how to fold a bedsheet with hospital precision (though i still make a mean tri-fold corner). i am left to my own deep sense of tending to my firstborn, who any hour now is going under, to have his four wisdoms taken out. those would be his teeth, of course. the only wisdom he’d ever relinquish. 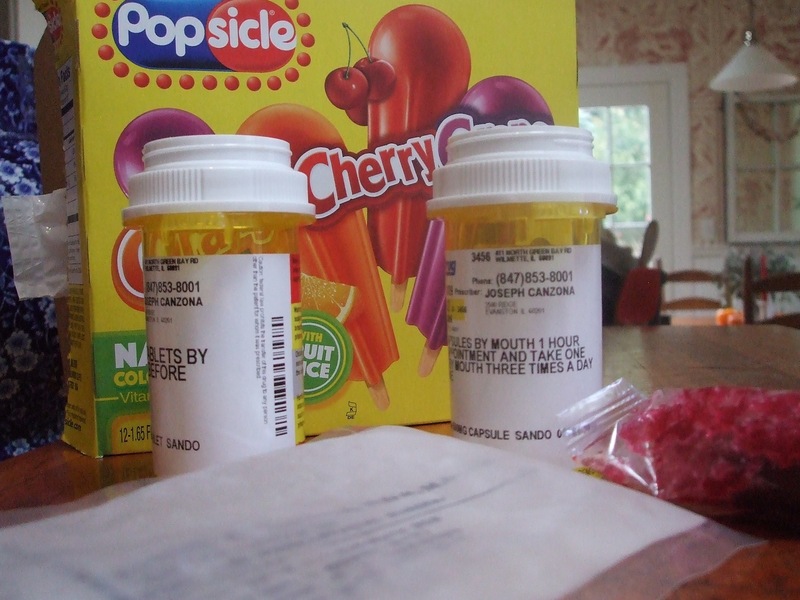 and i, as the resident nurse on duty, i am armed, already, with prescriptions, ice and popsicles, the holy triangle of recuperation from oral surgery. mostly though it’s the rare chance to once again slide into a calling that still calls out my name. i am not ruffled, much, by blood or body fluids. comes with the territory. comes with reaching out and taking the hand of the one who’s hurting, or afraid, or losing hope. comes with saying–most often, without words–i won’t leave your side, i’ll get you through this valley, back to where the sun does shine, and where your mouth, your head, your tummy doesn’t throb. 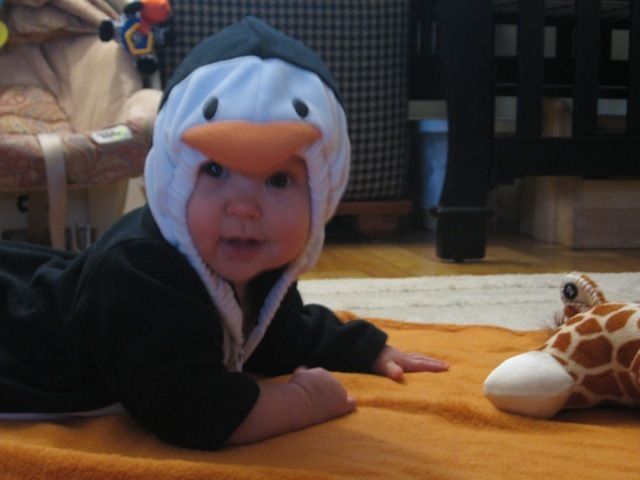 i have counted, over the years, whole flocks of children who were mine to care for. children with terrible horrible cancers. children who died. children who writhed in pain. children who fell to the floor and lay there, shaking. oh, i cried a lot. i held hands. and whispered prayers. i gave meds. hung transfusions. sat down on the edge of beds and talked the night away. i walked long halls with parents. shared cold cups of coffee, poured in styrofoam cups. i drove to small towns for funerals. went to dinner with grieving fathers whose tears would not end. i loved those years, those hard, hard, inconceivable years. and now the children i’m left to care for are my own. don’t need a license. curiously. don’t even send us home with instruction manuals, when they are newly born, for crying out loud. we are, all of us, left to what our mothers taught us about how to cool a fevered brow. how to hold a child retching in the toilet. we know that rubber bands go on glasses of a child with a cold. and ginger ale is the surest cure for a rumbly tummy. but those of us who’ve walked through nursing school, we’ve got an extra edge: we rise up when our babies go down. we swell our chests, feel that thump again in our veins. we were schooled on how to heal the wounded, how to soothe the pain, and dash the rising fever. it’s in our blood: we swoop on the scene, we make it right. or at least we do everything we can think of to try and do so. and so today, any minute now, i’ll never mind the folks who say that i’m expired, who say my license doesn’t count. i’m armed, and ready, and we are heading off to surgery, my firstborn and i. i get to be a nurse today. the arithmetic of november is a fine tally indeed. it’s the month where we begin to add up all the wonders of our year, the graces large and small. the ones that make our hearts go whoosh, as if niagara falls (see delicious cupcake above), and the itty-bitty whispers of holy hallelujah (as when we catch our little one, say, giving us a backrub, just because he sees the worry on our brow). when you pause for just a minute, maybe long enough to grab a pen and paper, for this accounting-in-the-works, you can, if you give it half a chance, get swooshed right over, for all the goodness that’s come round. oh, lord, i know, there is heartache plenty. there were days and nights, perhaps, when you thought you couldn’t breathe, what with all the drama in the wings. and there’ve been bedtime pillows, too, soaked with tears. and hours spent on knees, praying for holy miracles to dash away (fill in your blank). but, here, on the brink of this national time-out for cranberries and thanks, i find myself, in slow moments, in the breaths between the thoughts, beginning to accumulate a swath of holy blessings…..
i begin with the very girl i’d spent a lifetime dreaming of, the one whose arrival woke me in the star-lit cloak of an april’s night, a night when tears and dreams-come-true came rushing, when over a phone line and millions of miles away, i heard her rustling, peeping, squeaking, in my brother’s arms, and felt my heart take flight. oh, it aches to be so far away, but as i trace her every leap and bound, as i stockpile frequent flyer miles, i know we’ve years together down the road. we’ve tea rooms, and walks in the woods. we’ve story books, and some day, long long talks. if i’m as blessed as i hope i’ll be. speaking of endless hours deep in conversation, there is the blessing of watching my 16-year-old turn to his beloved uncle david, the one who once took him from dawn till way past dusk on the el (that’s chicago’s elevated train), with no destination other than adventure, and who over the years has opened windows for him all around, from thelonious monk to qi gong, from homer to sartre to music made from water dripping in a pot. be still, my most humbled heart. i count, too, the blessing of my cottage garden, the stubby little tree, with arms outstretched, who grows just beyond my window. i count the bluestone path, the one that meanders, slows me in the way of ancient zen walks where each stone is placed to accentuate the pause. and so it is with my wiggly, sort-of-wobbly bluestones. more accident than art, but still, the effect is the same, you move slowly through my meandering garden, the one where blueberries and roses ramble side-by-side. and what of my holy blessed friends who pull up here to the table, nearly every week, or only once a season? oh, thank God for them, for they’re among the closest to my heart, here in a world where we build bridges through words and shared story, where the village we carve is less one of geography and more one of common heartbeat. and i’d be missing a whole chunk of my life if i didn’t say i’m thankful, so thankful, for the job i do most days (paid or not so very much). the one where i ask a zillion questions, poke around in places others rarely get to see, then sit before a keyboard and let the story spin. just this year, i’ve spent the night with a saint in a hospital kitchen, i’ve watched another genuflect on a city sidewalk to save an injured bird. i’ve worked with editors and writers who’ve leapt to my rescue and stood firm behind me, and i’ve cried hard and long as i watched some of the very best exit the newsroom, told to leave for good, after packing lifetimes into cardboard boxes. before i move onto little graces–the wren who sang his heart out, the over-watered tree that didn’t die (yet), the cloudy days that brought me comfort–let me sweep my arms round the boys who put meaning to my days. the tall one who lets me in his heart, through long and winding hours of seamless conversation, and nothin’-else-like-’em belly-bustin’ laughs, sitting side-by-side (often, these days, that would be as i ride shotgun and he’s the one behind the wheel, steering down the lane, er, oops, that was a stop sign, honey…). and the little one, the one who takes my breath away each and every time i glimpse his tender side, the one stoked by his papa, yes indeed, and whenever i catch him, nearly always, leading with his heart. there’s my mama to thank, too, for making every tuesday and thursday work like clockwork, even when i’m far away. and, on both those harried nights, for getting dinner to the table, and not just any dinner either, grammy dinner–stews and meatloafs, potatoes mashed, and peas frozen in a pouch, comfort foods, foods like mama used to make. oh, that’s right, she is my mama and she is, after all these years, still making weeknight dinners. all that’s left for me to do, those achy tired nights, is scrub the pots and pans, and sometimes she does even that. oh, there’s more and more, the ones i love around the continent, from jersey shore to sunny california, from maine to arizona, with stops along the way. there’s the bones that hold me up, at least for now. a word i learn that takes my breath away. an idea that’s new and even better. i thank God for pillowcases crisp, and socks that don’t have holes. for books on tape that hold me rapt. and ones with pages, too. the ones i race to bed to read, but then, dag nab, i cannot stay awake. i thank God for pomegranates and popcorn. for old jeans all full of holes, and the leggings worn beneath them, the ones that keep me from being charged with indecent exposure. i thank God for gloomy moods that lift, and i’m sorrys from the heart. i thank God for friends who make me laugh so hard i fear i’ll, well, you catch that drift. i thank God for the sky at dawn, and the quiet of the house at night, when all there is is my breathing and the tick-tock-tick of the old fine clock. i could go on and on in this holy sacred litany of thanks. there is much, especially for those of us who take the time to add it up, as if a census of the heart. my forms are filled, and i’ve only just begun. for all of this and so much more, dear holy God, i thank you and i thank you. all right, you blessed souls in all the chairs, pull in close and let it pour, the thanks with which you fill your heart…. sometimes, holiness is the absence of flutter. so it was the other morning when, as i always do, i bounded out the back door, coffee can in hand; called out, “mornin’, babies,” to all my flocks. crossed the chilly bricks, tiptoed into grass, the not-so-vast terrain that stands between me and my seed troughs. right then was when my bare toes curled; i looked down, saw right away, the blades of grass were crusty white. the morning’s frost had robed them, made them downright furry. but i had work to do, was on my morning rounds. i had birds to feed, and a crust of fragile frozen mist was not about to stop me. after all this time, you see, after all the awe as i stand and watch the winged ones dart and peck, as i catch a scarlet ribbon flash before my eye amid a drab brown world that screams for color, after waking up to bird song, and watching babies dare to leave the nest, well, i’ve come to think of all those birds as mine. we belong to each other, the birds and i.
or, at least, so i fool myself. my coffee can, of course, was filled with breakfast for those birds. not the oatmeal i’d be bubbling back inside. this day, a blend of fruits and nuts was on the menu. and while i stood there, sizing up the frost, determining to add a little zip to this trip to the feeder, i noticed something else that stopped me in mid-pace: papa cardinal hadn’t flown away, was mere feet away, gobbling down the seed from yesterday. now, every single other time that i’ve stepped outside that door, to haul a hose, to haul the garbage, to go inspect a rose, i’ve been met with the popping sound of wings in sudden flight, the darting of each and every bird, lurching off to camouflage and haven in all the boughs and branches. the scarlet wings stayed still. and in that absence of haste, the morning’s calm unbroken, i felt a cloak of heaven falling down on me, cascading over my shoulders, warming my bare arms. it is a holy thing, for certain, to be nearly eyeball to eyeball with a wild thing. especially when the wild thing has wings, could fly away at the wisp of a breeze. he carried on with his chowing down, that red bird did. and i, now frozen, just stood and stared. i put down the foot i’d been holding in mid-air. i picked up my other foot. and then i stood and marveled: this bird seems not to mind me, i realized, not consider me a wild-haired bother. why, he’s gobbling as if at a diner counter, and i’m just another hungry soul sliding onto nearby stool. plunk down my elbows, take a menu. order up a coffee, tall and black. ask him how his day looks, here in this small town. i tell you, he might not have been too ruffled by my being there, the very picture of cardinal nonchalance, but i, well, i was wholly tingling. it’s not every day you discover you’ve crossed the line, and what a line it is. the birds no longer see you as a stranger, threat, or alien. the birds don’t even bother. for all they care, you’ve sprouted wings. well. yes. indeed. i’d say so. i felt as if heaven’s gate had swung wide open, whirled me right inside. there i was out there where i shoulda been shivering, but instead i was hot inside. barely breathing. heart pounding, too. so THIS is what it feels like to be at one with holiness. this is how you know you’ve come to be so synchronous with that you love that your being there makes no wave, does not disturb the peace. makes me think, suddenly, of old married couples who whirl around each other in the kitchen. she, splashing at the sink the way she always does. he, burping, pouring coffee, smoothing down the pages of the news with the same exact precision as he’s done for 50 years. to co-exist. to be breath-to-breath. to not feel one bit afraid in each other’s holy presence. it’s a trophy only i would ever know, not one to perch on any shelf. which makes it the best sort, really. that drawing in of sacred breath, discovering a truth of who we are or who we’ve become that no one else needs know. but as we carry on, we carry forward this: the gentle quiet honor bestowed on us one chilly autumn’s morn, when the red bird didn’t flutter. considered us at one with the whole of winged creation. and now i’m dreaming this: some day that bird will rest upon my shoulder. or in the open cup of my outstretched hands. i know there are those among you who’ve been at one in the woods, with the wild things. maybe your peaceful co-existence came with another human soul. or maybe you too carry unspoken, unheralded trophies in your heart. my point here was not to share mine, but to nod to the truth that we all have rich unexposed artworks deep inside. mine was bestowed by a red bird, gobbling day-old seed. do you care to whisper yours? and while at it this lovely friday in november, keep in your hearts the lovely pjv, mother of the bride in just one day….tis a blessed, heart-stretching moment–i can only imagine–to watch your little bird fly the nest, robed in bridal white. peace and love and joy to you, dear pjv, and the lovely, lovely em. they’ve tiptoed back, those november skies, the ones that wrap me and cloak me in their charcoal-gray-with-tint-of-violet wonder. i am safe inside the nubby folds of such a sky, when simmering smoky gray heavens sink low down to the earth, the place where i walk and trudge and hope and dream and too often feel the heartache. 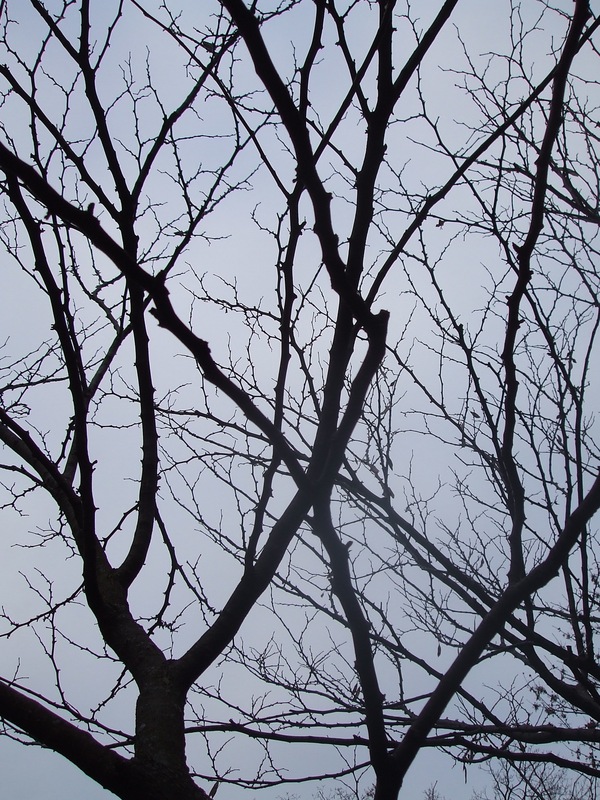 i like it when the limbs go bare, when we see the bones again, when sky presses in on us. when we feel–or at least i do–less far away from what’s above. it’s not that i’m so melancholy. not really, i’m not. it’s just that sky the color of eeyore, that somber donkey with the pinned-on tail, the one who walks the woods with pooh and dear, dear christopher robin, all through the enchanted pages of a.a. milne, it’s just that such a deep rich palette calls to me, whispers to the curled-up places in my heart, gives them kinship and room to unfurl. i never know if it’s about to snow, on days when the deep dark gray comes in. i hold my breath and hope, though. first snow is sacred. and the clouds, so full with something that their white is turned to sooty gray, they whisper promise. something’s coming. or else it’s just plain a gray day. a day that beckons for a blanket and a cup of tea. it nudges. tap-taps at my shoulder: sit down. be still. soak in the oversotted sky. all around the world is doing the same. the bulbs, i’ve tucked deep down into their sleeping places for the winter. the birds, mostly now, have skittered off, the ones for whom these chill winds are far too chilly. but all the stalwarts stayed behind, the squawking jay, the scarlet flash of cardinal, the sparrows and the hatches, they’re all here, loading up on seed, the seed i pour each morning at the feeder, in my unending bow to st. francis of the woodlands. even the squirrels, i see, have packed thick wads of leaves way up high in nooks of branches. they’ve made chambers l.l. bean himself might envy, what with their storm-tested knack for blocking out the cold. and not a bad perch for chomping acorns either, blithely tossing out the not-so-chewy caps that rain on passersby. my little one and i were walking to the bus just now, talking all about the sky (and dodging acorn caps that rained at quite a clip). i asked him if he, too, liked a sky that wasn’t full of sun, that gave you reason and permission to wrap deep inside your thoughts. well, first he looked up in that way that children do, to check to see if their mama’s sprung a leak, gone cuckoo. but then he let on that he too didn’t mind a dark-sky day, when the traffic jam of clouds hint that something might be in the works in the bring-on-the-weather department. as we shuffled through the leaves, the curled-up golden maples that bring crunch and light aplenty to a gray november morn, i asked him what color he would pick to draw the sky today. i looked up too. and sure enough, i saw. the curds of cloud are gray and grayer, not unlike the furry famished rascals who aim to raid my feeders, who dig up my bulbs soon as i turn my back, who might walk right in and take a plate of dinner, were i to forget to slam the door. and so it is, a squirrel-sky day. a day when all of us might see fit to gather up a wad of golden leaves and curl down deep inside. and while we’re at it, toss out acorn caps to pelt the passersby. if only i could climb a tree. oh, goodness. dashing here today. a long day’s newspaper writing lies ahead. by now the sun’s peeked through and my gray day is all but blown over the lake. 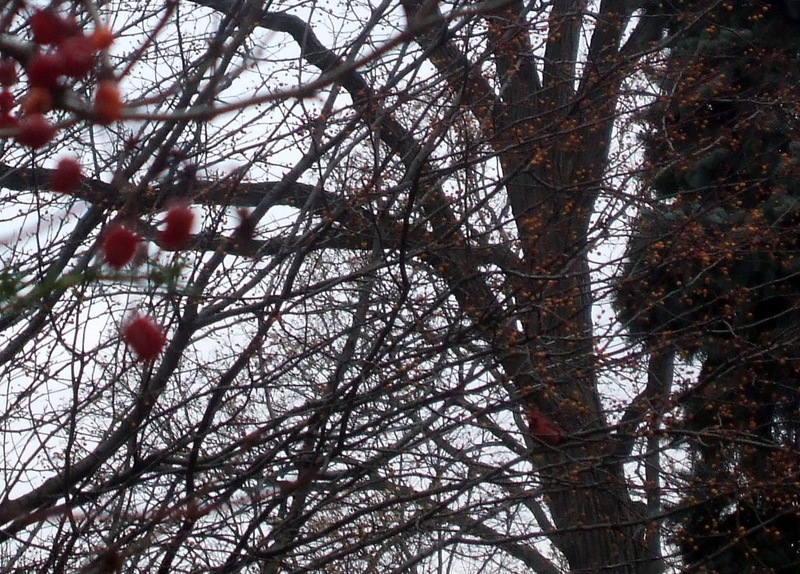 sunny days do have their golden-drenched virtue, but given a choice, i fear i’d take a gray november day any day. anyone else all for curling up and staring out the gray gray window?